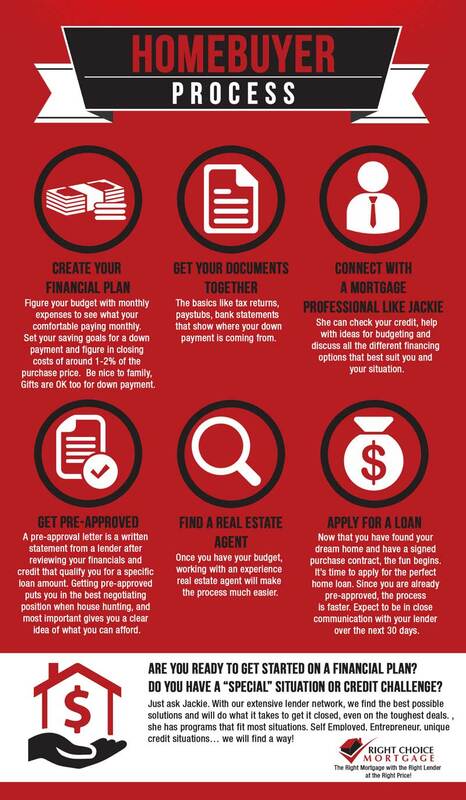 Are you ready to get started on a financial plan? Do you have a “special” situation or credit challenge? Just ask Jackie. With our extensive lender network, we find the best possible solutions and will do what it takes to get it closed, even on the toughest deals. , she has programs that fit most situations. Self Employed, Entrepreneur, unique credit situations… we will find a way!